I'm not sure about you, but I'm not a big fan of the diaper bag. Maybe it's just my diaper bag or maybe it's the fact I don't want to carry around two bags. Either way I don't carry a diaper bag I carry an oversized tote that doubles as a diaper bag. Yes, it's possible. Step 2: Find/buy an oversized clutch. 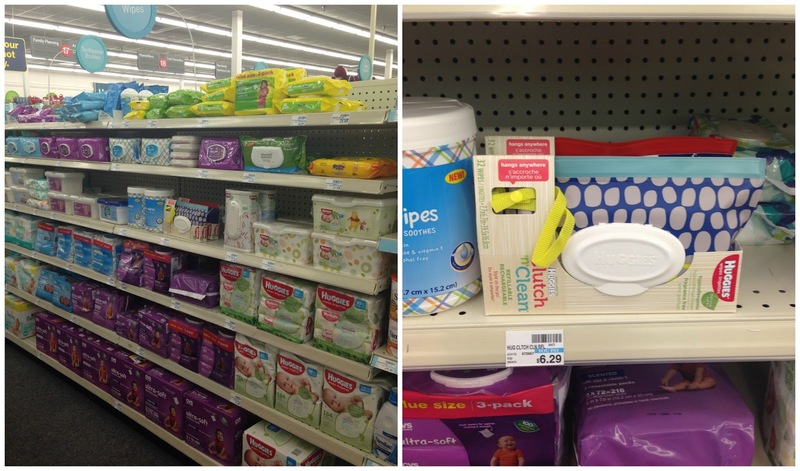 [Do you see a theme ;)] This will help keep all your baby items organized. Since I didn't own anything big enough I picked up the above polka dot clutch at TJ Maxx for $15. 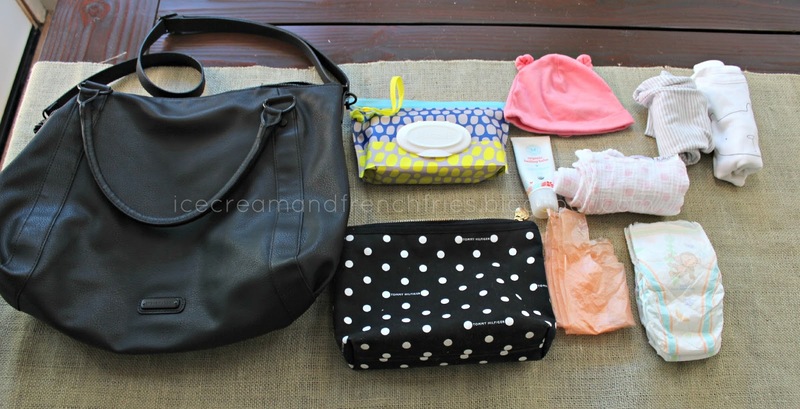 Step 3: Pack the clutch with the essentials -- diapers & deposable bags, mini Lulujo Muslin blanket [for changing] extra change of clothes + beanie, healing balm [my go-to for everything! ], and maybe a pouch or baby snack. 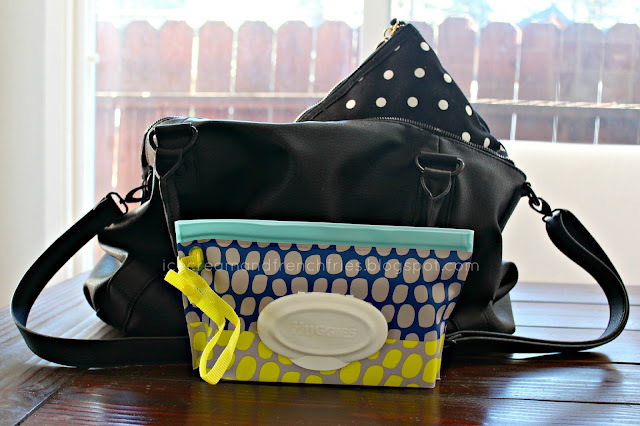 Throw the Huggies Clutch 'n Clean Wipes and on-the-go 'baby' clutch in your tote and go. It's that easy! I love the refillable feature! Plus, you'll look pretty stylish at holiday gatherings, traveling, etc. and still be prepared with Huggies Clutch 'n Clean Wipes! 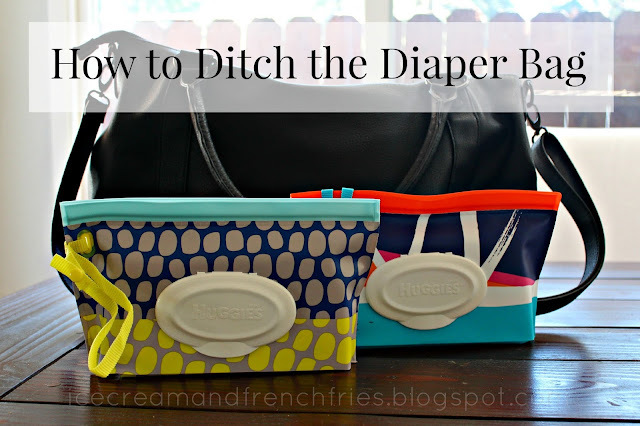 By ditching the diaper bag you won't have to worry about juggling two bags and baby/toddler. Don't forget to check you local CVS store for the stylish dermatologically tested, mom approved Huggies Clutch 'n Clean Wipes. Have you ditched the diaper bag yet? Any tips? For more info visit, Huggies or follow along on Facebook, Twitter, Pinterest, Instagram or YouTube. I just picked up two Huggies Clutch n' Go and I got the same print designs as you!